Well, Jordana asked, so here are two pictures I asked Chris to take since I get home at dusk or after dark now-a-days. This is the window, while I still have to get a picture of the hardware It does show just how cool it is to have them. 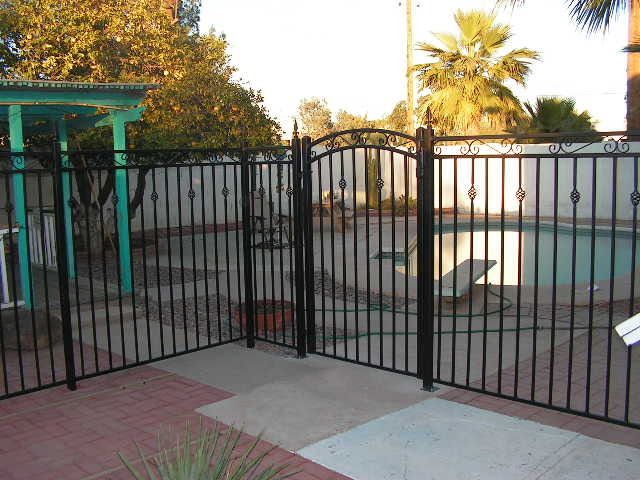 Here is the pool fence so we are now a kid safe house. This weekend I will work on geting pictures of the hardware for the sashes and weird little thingies that cause me to think a wrap around porch was an architectural intention when it was built. I love your woodwork! 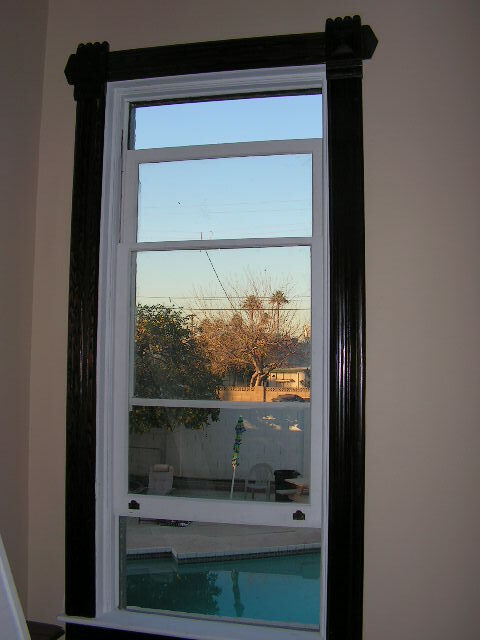 Don't most double hung windows open on both the top and bottom? I think all of ours do. I just never knew windows did that... there are not a lot of these here, and most certainly not in Ecuador where adobe colonial style reigned supreme... it is just so cool.